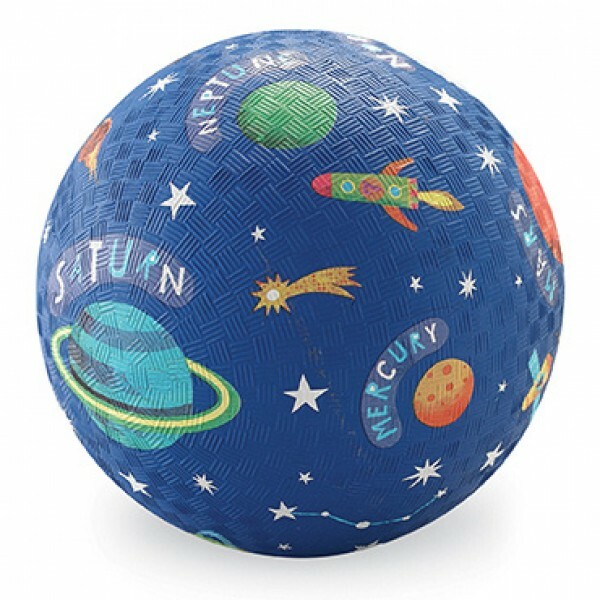 The Crocodile Creek Solar System Playball is a heavy duty, textured ball that is great for indoor or outdoor play. The ball is 5" diameter, is made of rubber and contains no PVC, latex or vinyl. Head out for a game of catch or kicking practice, and learn about the planets at the same time!